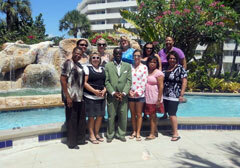 Nassau, Bahamas - The Wedding Planners Institute of Canada (WPIC), brought the world of wedding planning certification to the Bahamas when it held its International wedding consultant and coordinator certification seminar at the Sheraton Cable Beach Resort, May 27 and 28, 2011. 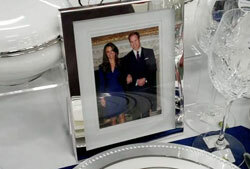 The two days event attracted wedding planners and coordinators from across Canada, United States of America and as far away as Australia. 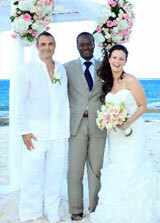 And Bahamas wedding planners from New Providence and Long Island. The Bahamas is celebrating the Royal Wedding of H.R.H Prince William of Wales and Catherine Middleton with the British Monarch representative His Excellencies Sir Arthur Foulkes, Governor-General and Lady Foulkes along with Prime Minister Rt Hon Hubert Ingraham and Mrs Deloris Ingraham traveling to London to attend the wedding. The Bahamas is home to Brides Magazine 2011 top Caribbean Resort as Sandals Emerald Bay in Exuma is named the Caribbean’s number one resort for honeymoons, just one month after celebrating its first anniversary. The award was based on a survey conducted by Signature Travel Network’s 6,000 A listed travel agents across North America and Brides Magazine, the world’s oldest and most widely read wedding magazine with readership of over 6.5 million per issue. Given that the average costs of a wedding could set you back more than $25,000.00 here are some wedding ideas that will help you cut the cost of a wedding. A wedding dress is usually one of the most expensive purchase of a wedding. And the surprising thing is that you can easily cut the cost of a wedding dress by choosing to have it made from a much cheaper fabric. Now it is time to explore the elements that goes into making your wedding a celebration of your style and personality. And it all start with you simply deciding and remembering all along the planning what your wedding day is all about - It is about you celebrating your love and the most special day of your life with family and special friends. 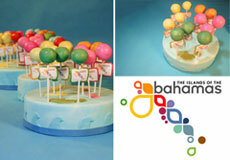 So you have started planning your dream wedding in the Bahamas, but not sure about what needs to done and when. Do not despair here is a simple checklist inclusive of time lines that you can use to help you plan your dream wedding. Well here is a simple checklist that you can use for planning your dream wedding with suggested time line. But bear in mind that the time you actually have to plan your wedding will dictate when things really happens. 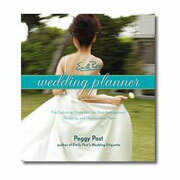 And that it is not intended to be an exhaustive list but to help guide you along the way as you plan your special day. 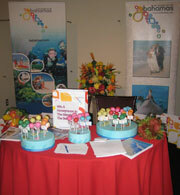 An estimated 1800 brides and grooms to be, experienced what the Bahamas has to offer in wedding and Honeymoon packages during The Wedding Show 2011 at the Carlu in downtown Toronto held the weekend of January 14-16, 2011. 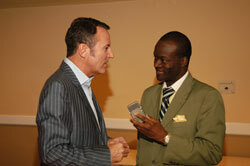 That’s according to Vinnicia Strachan, Manager of Romance Travel at The Bahamas Tourist Office in Canada. Bahamas Destination Weddings & Honeymoons are being showcased at The Wedding Show 2011 being held at The Carlu in Toronto Canada, January 14 -16. You are now engaged and excited to share the good news with family and friends, and undoubtedly the first question will be "when is the big day?" And you may be wondering what to do next. Well here are 4 easy ways to start planning for your dream wedding. 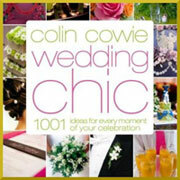 Are you getting married in 2011 or dreaming of having your wedding soon? Then this is just the place for you as we intend to provide you with all the information you need to help make your dream wedding not only a reality but a celebration of your style and personality. When it comes to planning your wedding so much can get lost including your personality but here are three things that you can do to add your personal touch to your wedding day and make it a celebration of style. Americans are spending an estimated $6 billion on Honeymoons. That is according to the recent Honeymoon Study 2010 completed by WE TV Network Wedding Report an agency that provides wedding statistics and marketing research for the wedding industry. The report released in November and appearing the on website The Wedding Report.com reveals that the estimated value of the Honeymoon market is $5.91 billion. With the average honeymoon lasting 7.6 days and costing the couple $3,473.00. Bahamas wedding professionals were showcased November 1 - 5, 2010 when the Wedding Professional Institute of Canada held it 6th Annual Wedding Professionals Conference in Nassau, the capital city of the Bahamas located on the Island of New Providence. 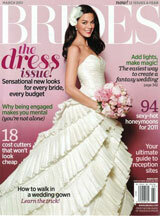 Don’t you wish you knew how to grow your wedding business in these tough economic times? If you are like me then I am sure that you are fascinated by the topic because as you know these are challenging economic times for most business and the wedding industry is no different. So I am sure you would like to know how to grow your business in these tough economic times. And you just can not wait to find out the answer.